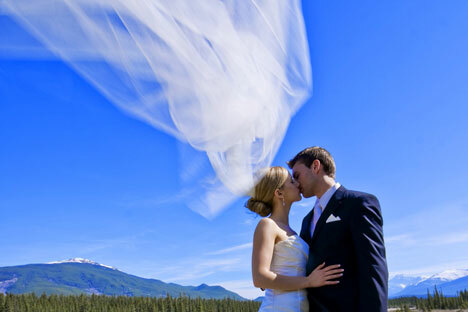 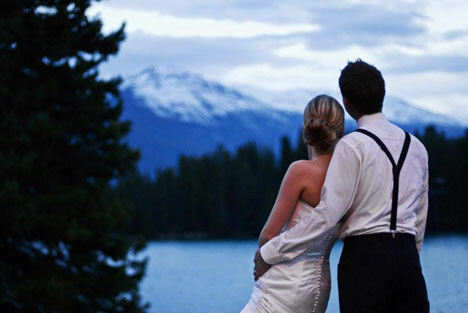 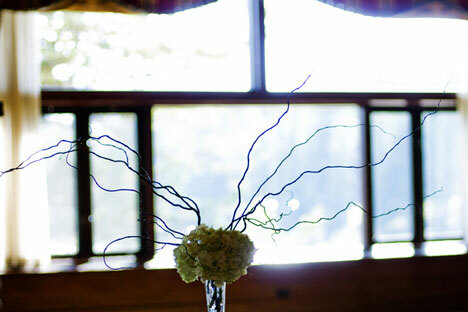 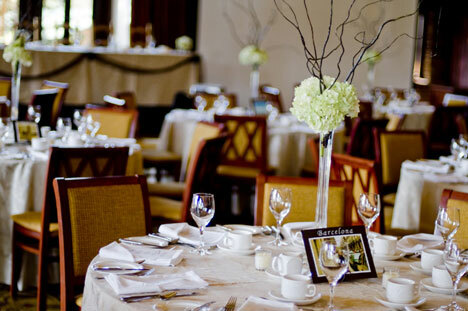 The setting of the Jasper Park Lodge is so spectacular that we kept things simple, so the focus would be on the natural beauty that surrounded the wedding. 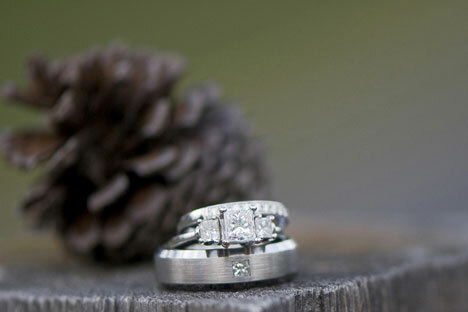 Rustic outdoor elements, such as branches and pinecones, were tied into every component of the wedding to carry through the theme. 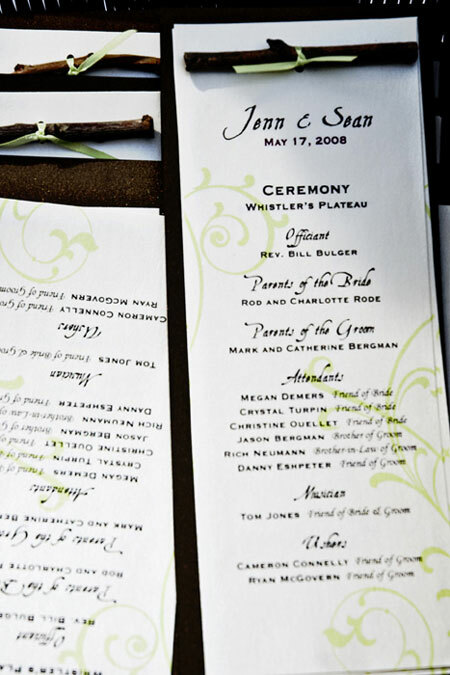 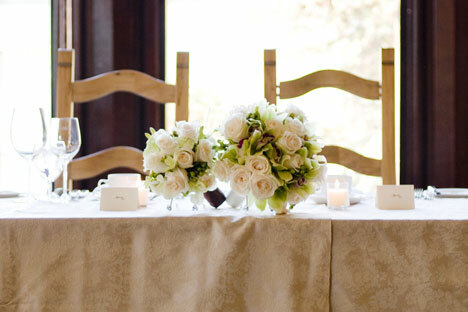 Handmade by the Bride and her Bridesmaids, the ceremony programs were tied together with a small twig at the top. 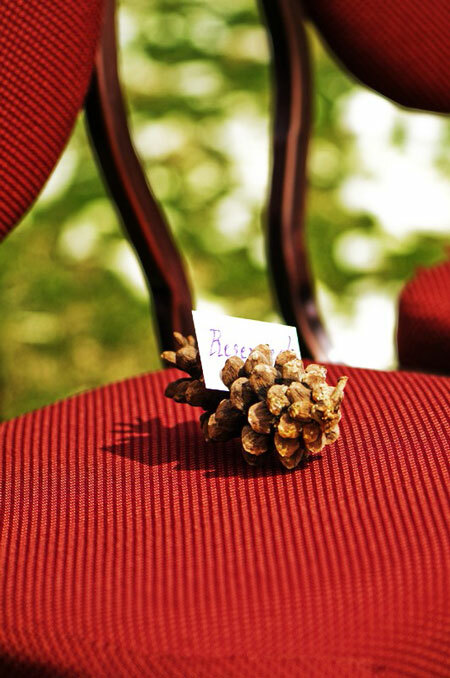 Seats were reserved for close family members using pinecones and a small, hand-written "reserved" card. 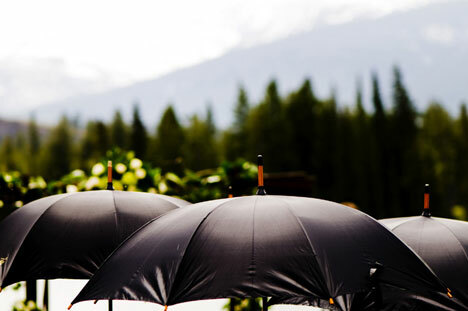 Guests used umbrellas to shade themselves from the unusually hot day (May in the Rocky Mountains is not often 28 degrees Celsius)! 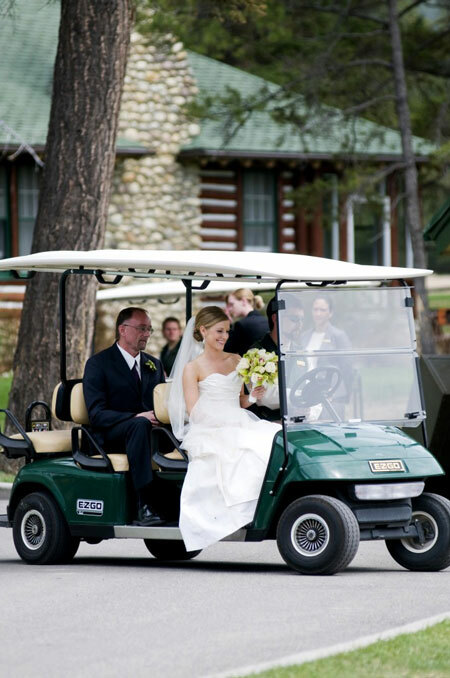 The Bride and her father made their entrance to the ceremony on a golf cart. 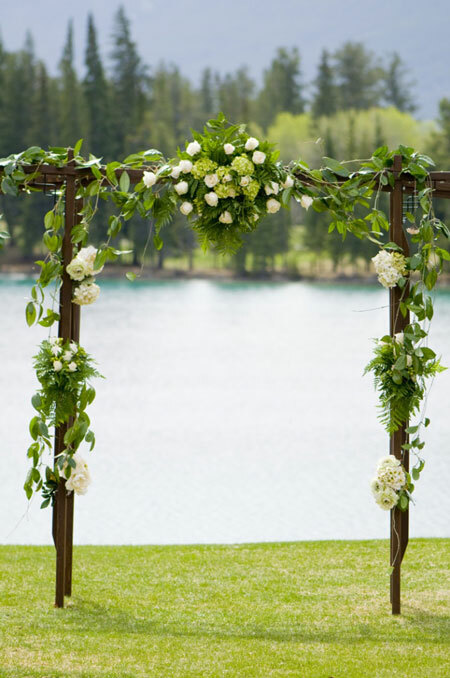 The groom actually constructed the beautiful wooden archway – just one of the many personalized touches of the day. 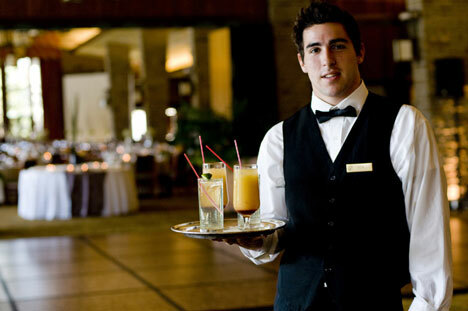 The cocktail hour featured a few specialty drinks named after mountain animals, such as "Lazy Marmot," "The Sour Wolf," and "White-Tailed Deer." 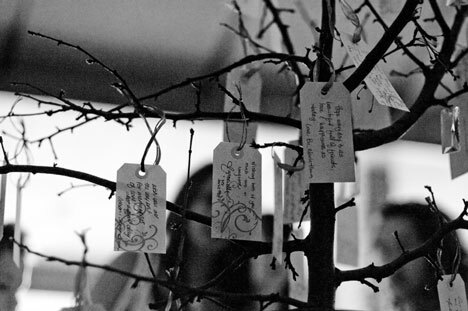 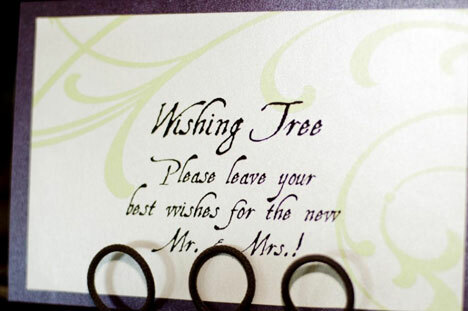 Guests wrote their best wishes and marriage advice on tags and hung them from a wishing tree with raffia. 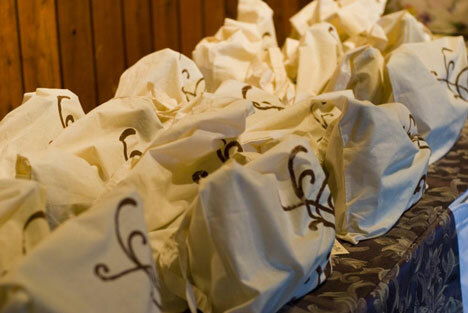 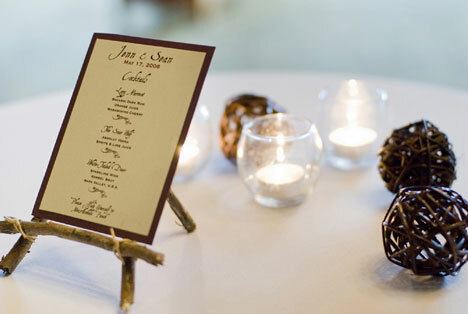 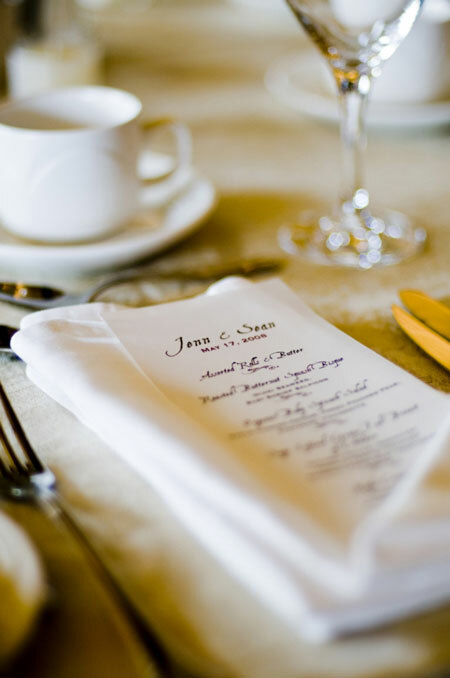 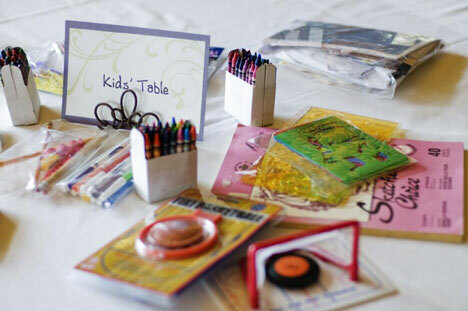 Since everyone travelled from out-of-town for the wedding, guests were treated to hand-stamped welcome bags full of goodies made by the couple and their friends and family: wine, fruit jellies, gingersnap cookies, chocolate covered pretzels and spiced pecans.